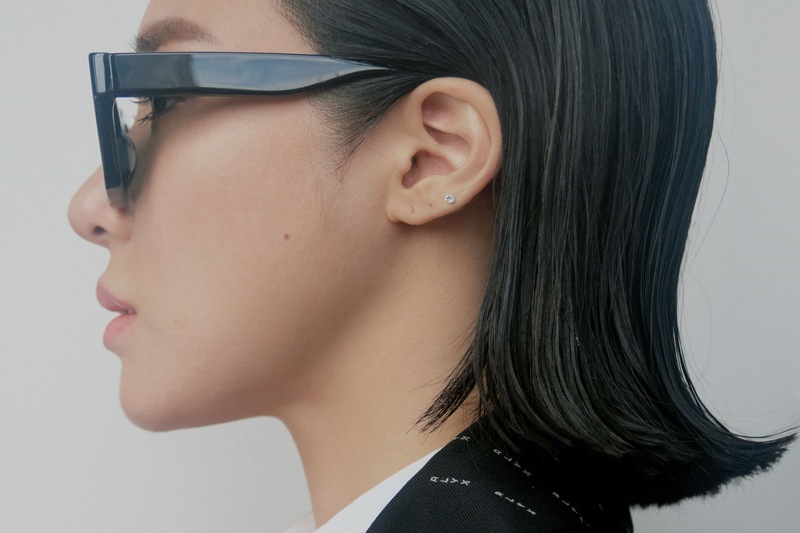 Ten minutes into the conversation with Tiffany Young is enough to understand that her 14 year-long career shares one common ground – her artistry. Up until 2017 when she debuted under her solo moniker in the U.S., her identity was arguably synonymous with the iconic K-pop group Girls’ Generation. The legacy that is Girls’ Generation was grounded in “hard work,” so she described, and its lasting tendrils are still shaping her solo career, with the caveat that her new story will be hers alone. 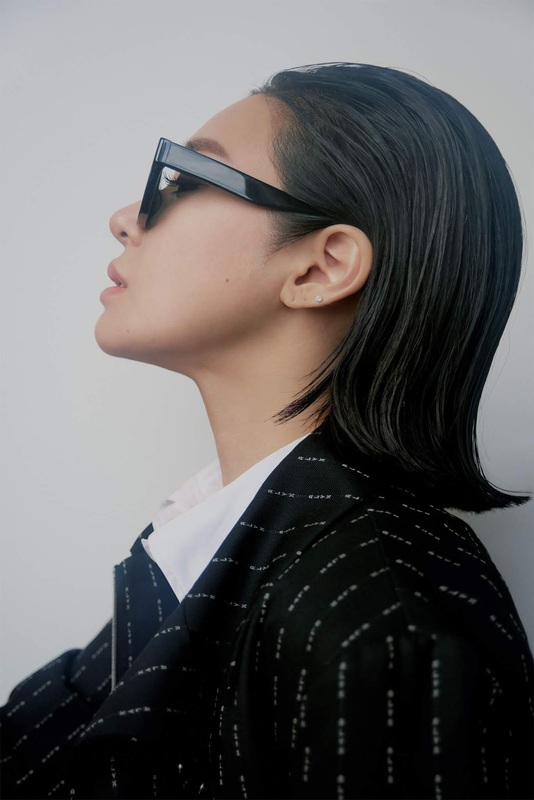 There’s something existential about those ambitions, and behind the deceivingly simple intent to couple K-pop with its American pop counterpart, is a greater calling to create the “human and universal stories.” That ethos extends to her budding acting career and the roles she picks, simultaneously propelled by her Asian-American roots. One thing I didn’t know is that you now live in LA. It was surprising because you had lived in Korea since debuting with Girls’ Generation in 2007. Why choose to “start over,” so to speak? I’ve always wanted to come home and with the experience I had with Girls’ Generation, get a taste of what the American music industry felt like. I remember being on David Letterman in 2012 and looking at that couch thinking, I want to come back one day and tell my story. It’s been a dream my whole life so coming back home was the first thing to do and I immediately went to school and work, focusing on putting it all together. And what is important to you in this new chapter? With my personality and my personality in creating, I tend to really want to get into the root of it all. It’s about digging into your roots and the reason why. I’m realizing that it’s pretty slow paced here and about taking your time versus in Korea or my experience in Asia, where everything was fast – sound here, choreography there, put it together, make a video, promo and that’s that. That was in the snap of a finger, within 6 to 8 weeks. Then your life would already be moving on to the next piece. I entered the industry at 15. It might just be my age or where I’m at in my career, but I’m really taking the time to make sure I’m aligning. I want to go back to what you said about roots and getting into the roots of who you are. When you started your career with S.M. Entertainment at 15, what was your truth? I was very sure of myself, to the extent that a 15 year old taking on these responsibilities, could be. At the time, you’re going through things you don’t understand and things are out of your control while you’re trying to figure it out. My 15 year old self realized that music was only was the only thing that made my happy and I trusted those instincts so I had to give it a shot. Should I have been taking my PSAT’s and mapping out college or mapping what I love most? I remember in one of my arguments to my Dad, I said, “Look, I think I just found my major a lot quicker.” I didn’t even realize until later but it had only been 2 years since I had lost my mother, so I’m pretty sure my family thought I was going through a phase. But my whole truth was music. It all comes together in a full circle. I didn’t really have another perspective back then for someone to say, “You can do it all.” I always said it had to be acting or music when choosing your solo stuff. I chose music but coming back to now, being here with my acting coach and new team, I’m very inspired in doing it all. Look at Donald Glover. Music helps me put my feelings in order and my acting training helps me write music. In the studio, I take my lyrics in as a script. What are your ambitions with acting? I’ve been auditioning and getting scripts since 2012. Acting is such a special way of storytelling. I’m open to roles where the character or story is something to shed light on, when it’s something not talked about in all cultures. Especially me being Asian American, there are so many things that aren’t talked about or portrayed. Bringing those to life in a way that makes everybody think and start a conversation in the best way is finding that empathy and compassion towards a human being. At the end of the road, being a Disney Princess is a life-long goal [laughs]. Are you ever boxed into a role, being who you are as an Asian-American? Of course, scripts from 2012 to up until a couple of years ago. But we’re at a great time where great art is inspiring new art, in terms of Asian American opportunities. We’re at a time where all these Asian creatives and artists are breaking and creating new opportunities for one another. I’m so lucky. "We’re at a great time where great art is inspiring new art, in terms of Asian American opportunities." We’re lucky to have you too, because like you said, it’s a revolutionary time, breaking the “bamboo ceiling” in K-pop, music and acting. Even your H&M campaign, there’s a story about representation there. 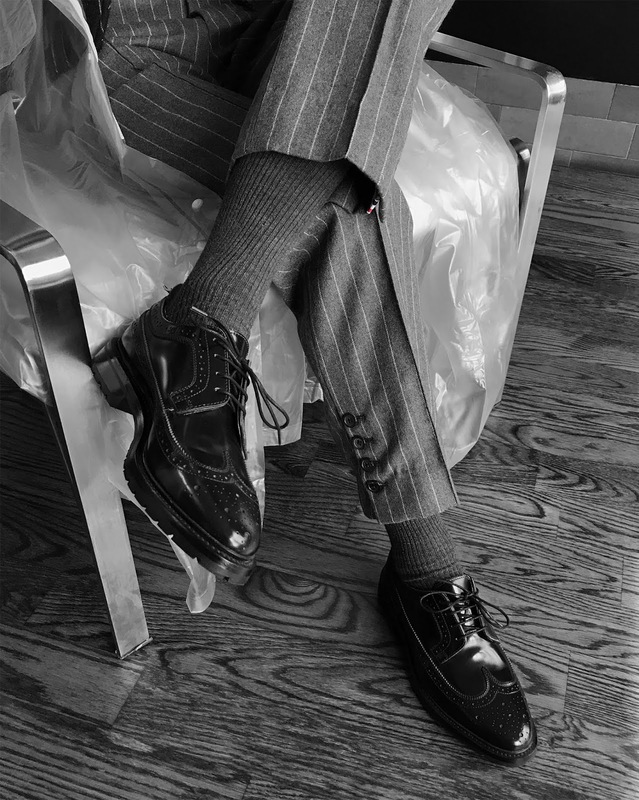 I got 400 mosquito bites on my leg from that campaign but it was worth it [laughs]. I’m getting emotional. At the end of it all, everybody should be given the same opportunities to express. Growing up, I didn’t have anybody or see a lot of Asian-American and Asian females in media that I connected with. I’m so thankful to be a part of this time where another 12 or 15 year old Asian-American can look up and see that they can do music here in America. Rather, it’s about believing that you can do music and going after your dreams anywhere you are in the world. Moving into your solo career, is it a hard to have that tie with Girls’ Generation, with the weight that GG is arguably the most iconic K-pop girl group? Girls’ Generation, for me, is how can we create and challenge ourselves each year. I think I really got that practice and work ethic in me, vibing with my girls. It’s 10 years of work and as intimidating and crazy as that sounds, those years have inspired me to create and extend the legacy for what Girls’ Generation means. That is still my message right now. I was really able to do this because I have that support system of your family and sisters, whom you have created with, and your fans, who know you inside out. Just like you started your question, I’ve been taking it as positively as possible and accentuating and embracing the identity and roots of where I came from as a musician and artist. But America and the world is a whole other challenge. Another thing that keeps me going is when I decided to go solo, my bandmates said, “We can’t wait to see you story tell your side of the story.” Everyone has their own side and I hope mine is just as special and empowering. Going back [to LA] last year, it’s about the human and universal stories that I want to continue on creating, versus, I don’t know where I’m heading and I’m 17 so let’s see. It’s a lot more specific right now. It’s all the things I love about K-pop and the pop I grew up to, that I wanted to embody into one. Everyone is like it can’t be this and it can’t be that, but why not? I want it the way I love things and hope that people will take it the same way. I’m a huge fan of K-pop and pop and I’m sure there are a lot of people like me. The K-pop industry is taking over the U.S. right now with groups like B T S. Is it a change in approach or is it simply timing? I think it’s a little bit of both. I was a fan of K-pop in the early ’00s which made me want to go and audition. K-pop is ever-evolving. It slowly took over Asia found its way all over the world. I think the approach is different because we’ve had experiences and saw through the media how K-pop artists were slowly breaking in. You can ‘t forget BoA, Rain, Wonder Girls and all the other artists who have paved the way. Timing yes, in how social media and culture is spreading it in real-time. It’s a great watching it grow and pick up in reach and spread. The artists right now are so talented and I’m glad I got to be a part of it too. What is the legacy of Girls’ Generation? Girls’ Generation’s legacy is about hard work. We worked our asses off for what we believed in, what we wanted to create and who we wanted to be. It’s about being positive and being the best you can be, given your circumstances. It’s about supporting your girls, between us members, the team, the creatives behind it and the fans. Our friendship and work ethic inspires so many other females around the world to have a group of friends to grow with. And what do you hope your legacy is? When thinking about this question, I have definitely said to myself that I want to be an artist that creates to open the heart, mind and eyes. That requires you to be very much compassionate and empassionate so I hope my legacy is that – a creative who is full of passion and compassion.